Expansion was completed to increase desalination capacity using reverse osmosis. 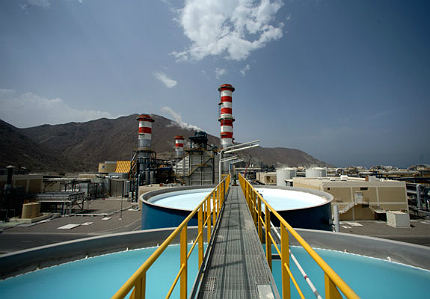 The desalination plant at Fujairah is one of the biggest RO desalination plants in the Middle East. 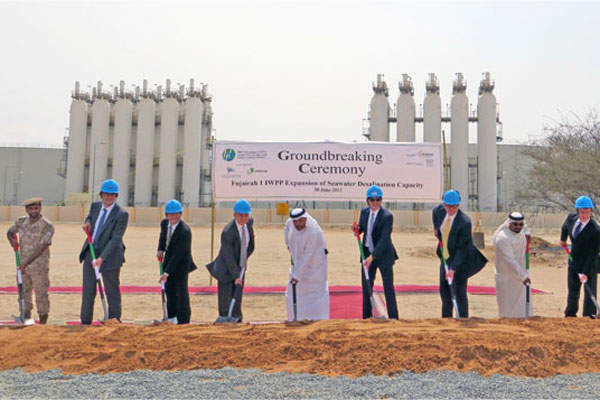 Groundbreaking ceremony for the expansion of the Fujairah 1 plant was held in June 2013. 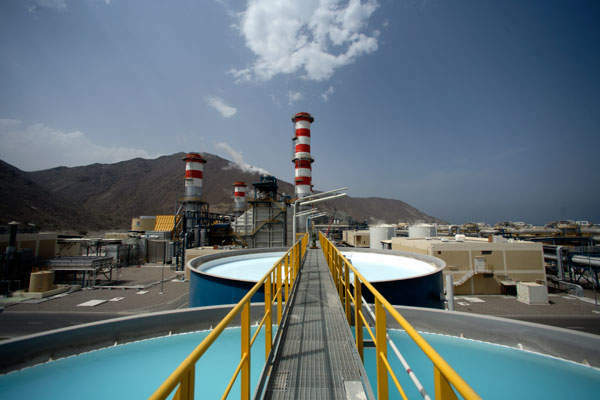 Fujairah 1 Independent Water and Power Plant is a hybrid desalination plant incorporating multistage flash distillation (MSF) and reverse osmosis (RO) technologies. The plant was expanded to increase the desalination capacity by a further 30 million imperial gallons per day (MIGD). The expanded plant began its operations in December 2015. 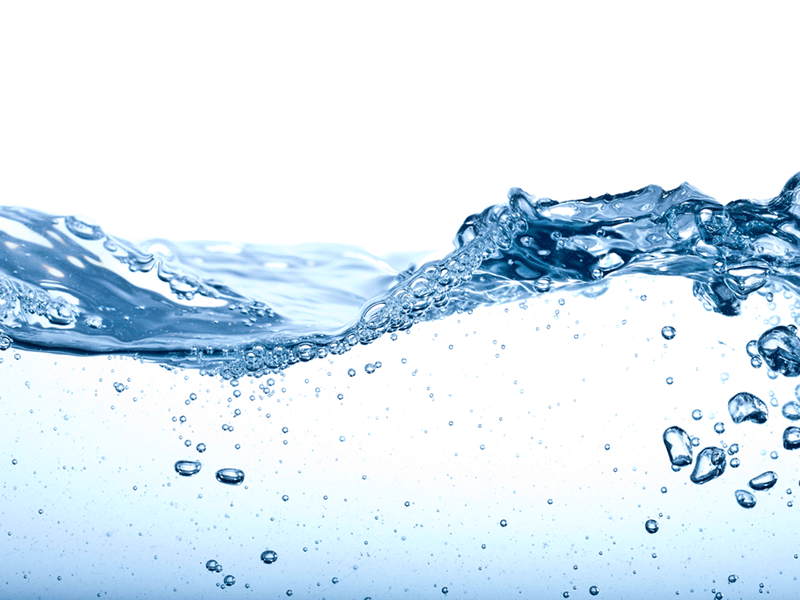 Desalinated water from the expansion phase is sold to the Abu Dhabi Water & Electricity Company (ADWEC) under a 20-year water purchase agreement, signed with the plant’s owner and operator Emirates Sembcorp Water & Power Company (ESC). ESC is a joint venture formed by Sembcorp with a 40% stake, Abu Dhabi National Energy Company (TAQA) holding 54% and Abu Dhabi Water & Electricity Company (ADWEC), holding the remaining 6%. The joint venture partners invested approximately $200m on the expansion. Expansion works commenced in June 2013 and were completed in December 2015. The project meets the increasing water needs of roughly 500,000 people in Abu Dhabi and the Northern Emirates. The design and build contract for the project was awarded to a consortium comprising of ACCIONA Agua (75%) and ACCIONA Infrastructure (25%), which are two main business divisions of ACCIONA Group. ACCIONA is also responsible for the maintenance of the plant for a period of seven years. ILF Consulting Engineers provided the consultancy and supervision services for the project. 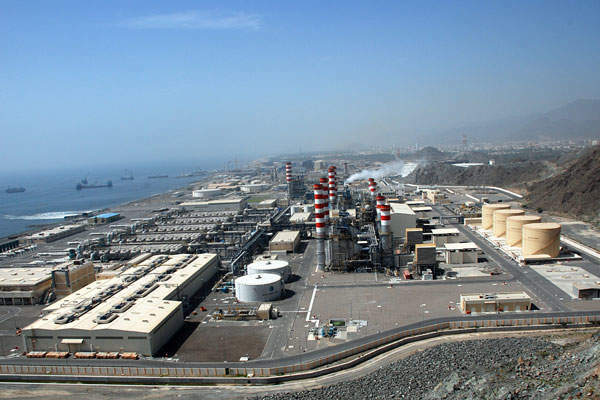 Fujairah 1 Independent Water and Power Plant is located about 180km from Dubai, and 20km north of Fujairah, on the shore of Oman. The plant came online in June 2004 under the ownership of UWEC (ADWEA). The ownership of the plant was transferred to Sembcorb in September 2006. The combined cycle power plant has a power generation capacity of 882MW and the desalination plant has a water generation capacity of 100 MIGD. The desalination plant had the capacity to produce 62.5 MIGD of water using the (MSF) technology and 37.5 MIGD using RO technology, prior to the expansion. The hybrid desalination plant is made up of five MSF desalination units of 12.5 MIGD each, supplied by Doosan, and an RO plant supplied by Degremont. The plant also comprises a potable water plant and five tanks with a storage capacity of 20MIG each. Associated facilities for the plant include the intake structure station and the interface to the storage tanks. Water from the MSF units and the RO plant is conveyed to the potable water plant and water tanks via a single pipeline. The expansion increased the current RO treatment capacity of the plant from 100 MIGD to 130 MIGD. The expansion made the plant one of the largest RO desalination plants in the Middle East. The project also included the installation of a new dissolved air floatation (DAF) system, which improves the quality of the seawater feed. The project enables the desalination plant to utilise the surplus uncontracted power from the combined cycle power plant, enhancing the plant’s income and providing an option to produce water at a competitive cost. ACCIONA Agua applied the RO technology for the expansion project. The plant initially uses the dissolved air floatation (DAF) system for pre-treatment to remove the solid particles from the water. 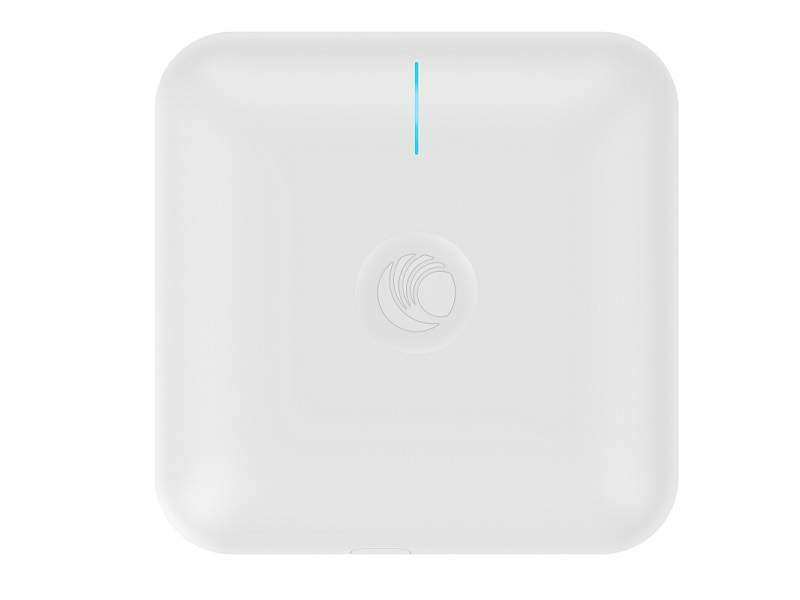 The RO technology is then implemented, which makes use of a semipermeable membrane to remove the salt content and other effluent materials from the water molecules. Saline Water Conversion Corporation’s (SWCC) Ras Al Khair Desalination Plant (formerly Ras Az Zawr Desalination Plant) is a hybrid desalination plant which will implement both the multistage flashing (MSF) and reverse osmosis (RO) technologies. In January 2008, Bahrain-based Energy Central Company (ECC) was awarded a 25-year contract to design, build and operate a seawater desalination plant to serve the irrigation needs of the entire Durrat Al Bahrain development. WaterGroup does whatever it takes to help companies and water authorities secure water and save money through cost-effective and sustainable solutions. Our unique feature is that we provide complete end-to-end solutions to meet your needs. 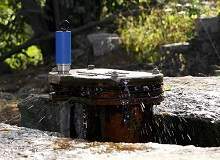 How much water is being lost from your water supply system? 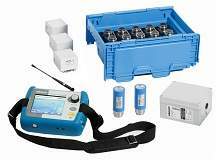 Whether it is through bursts and leaks, inefficient treatment practices, under-registration of billing meters or plain theft, it is important to 'account' for where your water is going. 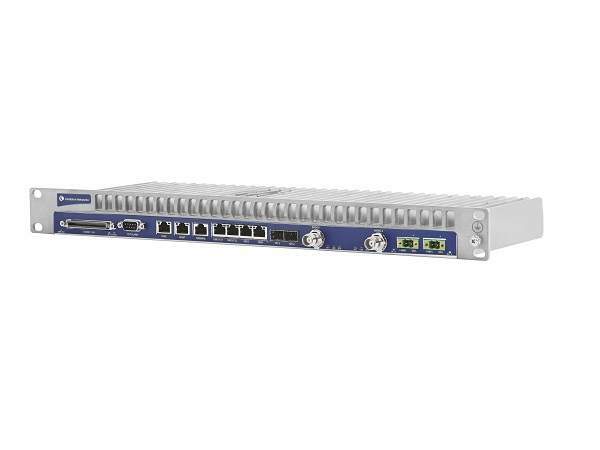 The Sebalog N-3 network provides you with the latest measured data on a day-to-day basis with automatic data transmission to the server.